A body found in a dirt area between Pacifica Way and U.S. Highway 93 has been identified. Thomas Spotts, 68, was declared dead by the Clark County coroner’s office on the morning of July 29 and was identified a week later. Spotts went missing July 24 after he left his residence at Lakeview Terrace of Boulder City, an assisted living community. Boulder City Police Department and Lakeview Terrace officials went on a nonstop search for five days before he was found by Boulder City police on the fifth morning. 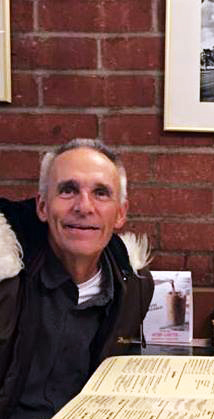 When Spotts went missing Boulder City Police originally posted on its Facebook page that Spotts had early onset Alzheimer’s disease, leading to rumors in the community that Spott’s family blamed Lakeview Terrace for his death. The police department later took the post down. However, according to Spott’s family and the company that manages Lakeview Terrace, Spotts was never diagnosed with Alzheimer’s or dementia and was living at the residence voluntarily. Ridgeline Management serves as manager for Lakeview Terrace and does not own the property. Spott’s sister-in-law, Carina Spotts, said her family does not blame Lakeview for the incident and said she appreciated its effort to try and find Thomas Spotts after he went missing.